In our modern environments many bird species are struggling to find enough suitable nesting sites. As a result, a lot of species which have traditionally been abundant in our gardens are declining drastically in numbers. 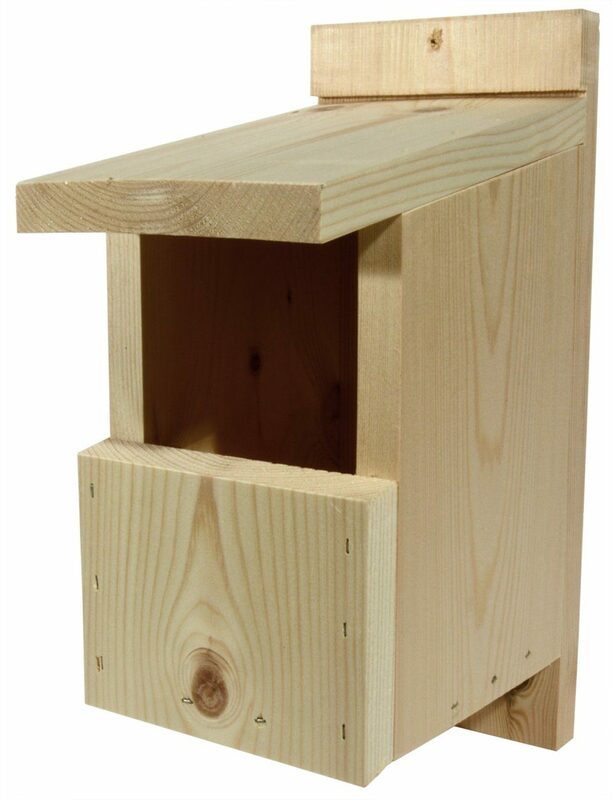 Installing a nest box (or several boxes) in your garden is one of the easiest and best ways that you can help birds. 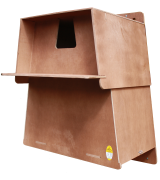 A bird box will provide a warm, sheltered environment with protection from most types of predators, helping to improve the chances of breeding success. 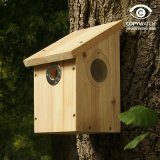 Our own range of wooden bird nest boxes have been custom designed and manufactured from substantial 2cm thick FSC-certified European Redwood. 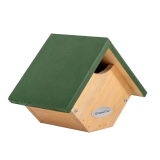 These simple, breathable wooden bird boxes have a sloping roof and four drainage holes and are ideal for providing crucial nesting spaces for the smaller garden birds. 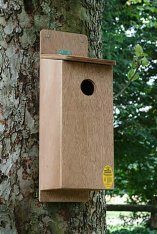 This Traditional Open Fronted Wooden Nest Box has been designed to cater for open nesting species such as robins and is best placed in cover such as ivy, hedgerow areas or other climbing plants so that the nest entrance is secluded and hidden from predators. 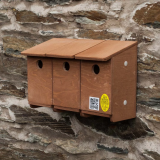 Nest boxes also provide vital roosting spaces for birds during the cold winter months and the thick walls of these nest boxes will ensure that roosting birds stay warm. The boxes can be expected to last 5-10 years and are constructed using stainless steel staples which will not rust. 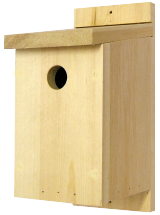 This nest box can be installed on a tree or wall and should be placed two to four metres above ground in cover. The box should be placed so that the entrance is not exposed to strong sunlight or winds.